Girls Have All The Fun At Our Napa Spa From bachelorette parties to bonding with your mom or sister, there’s no better place than Calistoga Spa Hot Springs. 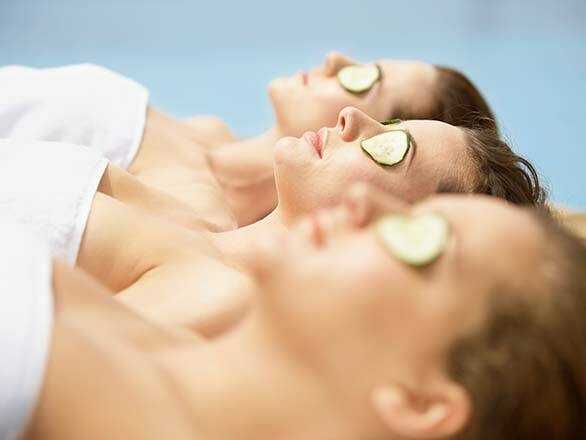 Escape for a fun girls weekend at our contemporary hotel and spa in the heart of Napa Valley and enjoy a relaxing stay filled with soothing spa treatments and fun moments with friends. Slip into a beautiful embroidered robe and start off with a soak in one of our mineral pools. Sink in to our soothing mud baths then relax completely with a nurturing massage or reflexology session. After your day of pampering, get out to explore restaurants and shops in charming downtown Calistoga, just steps away from our hotel. Settle in to our contemporary accommodations surrounded by stunning views of Mount St. Helena. Pamper yourself with luxurious spa services, including massage & reflexology. Rejuvenate in our volcanic ash mud baths or relax in our four soothing mineral pools. See it all from our central location near restaurants and wineries. Unforgettable Napa Spa Getaway Packages From fun weekends with your BFFs to romantic wine country escapes, Calistoga Spa Hot Springs is the perfect California destination. If you’re ready to immerse yourself in blissful relaxation surrounded by the beauty of Napa Valley, our boutique hotel and spa offers contemporary rooms, relaxing mineral pools, mud baths, and yoga classes all just minutes from incredible dining and world class wineries. Discover our one-of-a-kind California spa vacation packages and start dreaming about your Napa getaway. Book now!